Turkey has decided to stick to DST summer time throughout the year! 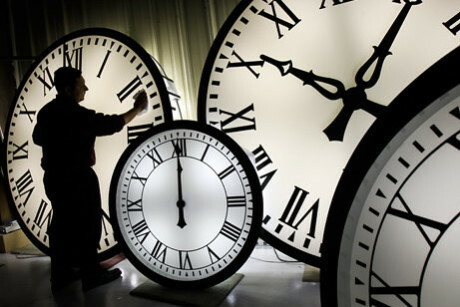 Turkey has abandoned the practice of adjusting the local time to and from DST (day light savings time), effectively changing the country’s time zone to a permanent Summer Time; i.e. UTC (Coordinated Universal Time or Greenwich Mean Time) with an offset of plus 3 hours (UTC+3). This means we shall not switch to winter time and we shall not set our clocks one hour back on 30th October 2016. This will have several impacts on computer applications (like planners, schedulers, calendars) and operating systems. Some operating system versions have already updated their time zone data files to reflect this decision, but some have not done so yet (at least as of 22nd Oct. 2016). However, if your operating system has not been updated to reflect this, or it cannot be updated for some reason (e.g. unsupported version, no or limited internet access), the time will be backed an hour at 04:00am, 30th October. Although at first look it seems that setting the backed time back to +1 hour will fix the problem, the consequences are not that simple and some unpredictable inconveniences might pop. Many online applications ( like Google Calendar, calendar services of Outlook, etc.) makes extensive use of the time zone setting as well as the time setting of the computer they are used on. Therefore one has to have correct time zone and time settings so that these software can perform date/time calculations correctly. What you should do before 30th Oct. 2016? Apply all updates available for all applicable software (operating system, date/time related software). Usually a simple “Check for updates” will handle this. Any available updates will be applied but please note that applied updates might not resolve the time zone problem. Smart phones are usually set to sych their date/time with the service providers’ servers and therefore should not have any problems. You might want to make sure that your mobile devices are set to sync date/time with the service provider. What you should do on 30th Oct. 2016, after 04:00am? Check the time reported on your computer. If it shows a time which is an hour earlier than it should; it means your operating system has switched to winter time and this needs to be corrected. The easiest way is setting your computer’s time zone to “UTC+3” or “GMT+3” or to a country/city which uses UTC+3 timezone rather than “Istanbul”. If you set “UTC+3” or “GMT+3” timezone, also make sure that yoyu disable “Automatic Day Light Savings time adjustment” and the time is correct. Please note that you might have to manually change the time reboot to make the changes to take effect. What happens if you do not do anything? Nothing much, actually, if you are not using calendar applications and if your computer doesn have any server applications installed. Your computer’s time will be 1 hour early and depending on the tools you use to send e-mail, your e-mail messages might appear an hour late at the recipient’s side. What if you only set your computer’s time to one hour ahead? Again; if you are not using any calendar services, you should be OK. Please do not forget to disable “Adjust to DST automatically” option. If available, please also set the time zone to “UTC+3”. If you have any international flights booked for 30th Oct 2016 and beyond, you should contact your airline(s) as soon as possible to check how your itinerary will be effected by this change. If you rely on calendar and scheduling applications for upcoming events; please double check and manually confirm that the event times you see on your calendar are correct and in compliance with the actual event schedule.